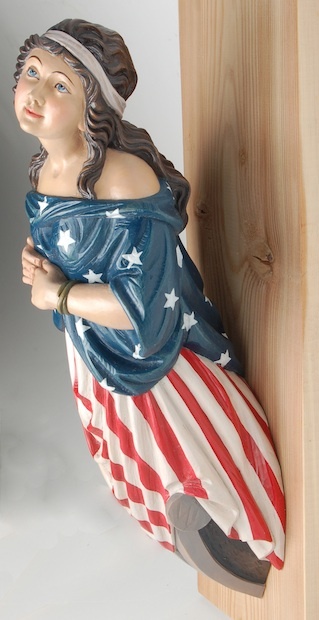 Request: An American client asked us to produce a model of a famous figurehead to hang on the wall. The wooden statue below is the figurehead of the historic ship Benmore, which had been built in Glasgow and later sold to an American who repainted the figurehead with the American flag. Nowadays it can be seen in the Mariner Museum in Newport News, Virginia.